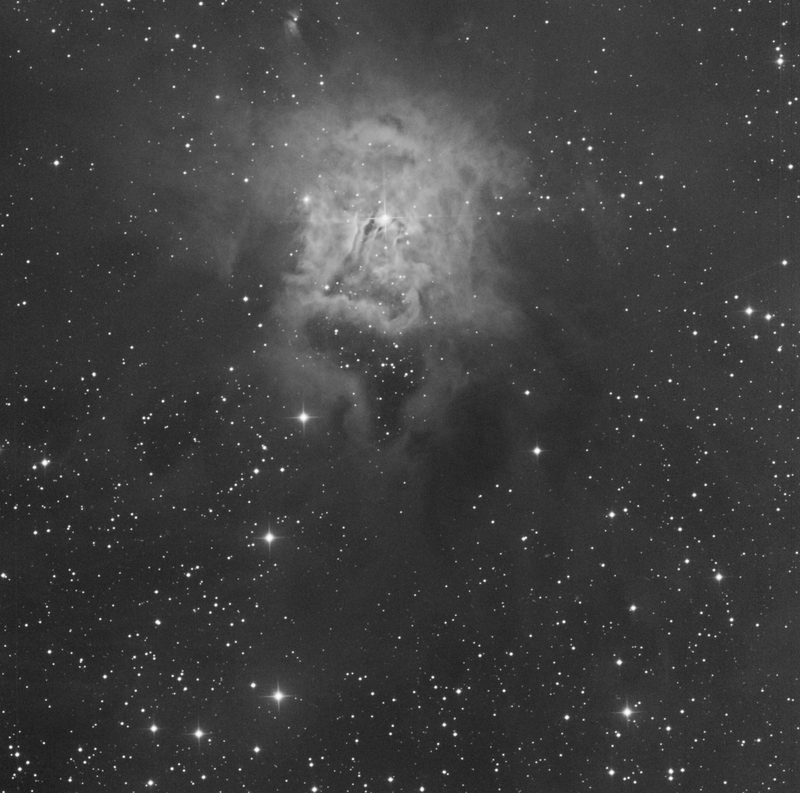 The Iris Nebula, NGC 7023, is a deepsky object I have imaged before. 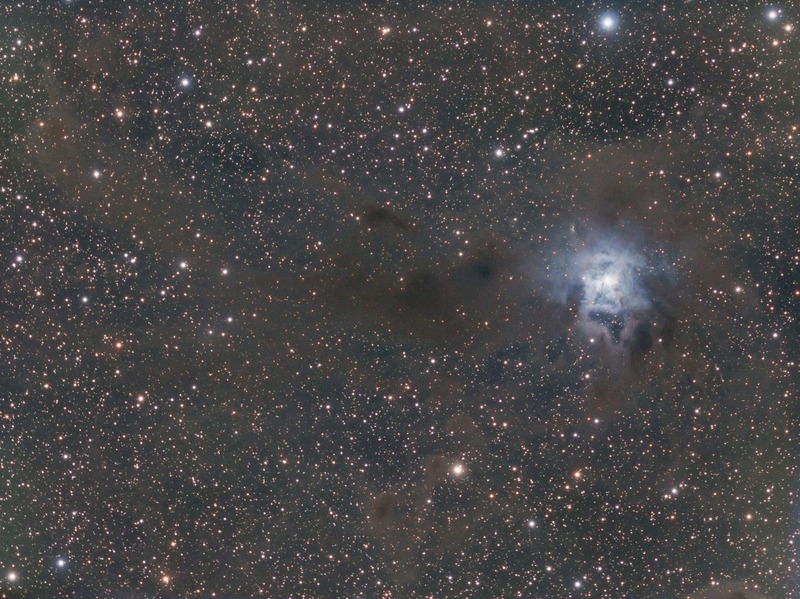 It’s a mysterious looking reflection nebula. Sometimes referred to as the keyhole nebula. This colour data was taken in September from our cottage up north in Oliphant, Ontario. The night skies up there are still prestine and dark, although with the introduction of LED and distant cities/towns growing, light pollution will eventually make its way to what I consider my last dark sky reserve. Hopefully though that will take a couple decades or more. The colour data was taken with the Skywatcher Esprit 100mm APO refractor and the ASI 1600mm-cooled 16mb camera. This night was moonless and humidity levels were lower than forecasted. Even with being beside the lake. I only had one clear night to image so I had set SGP to acquire data on three different targets. 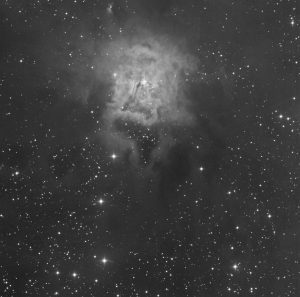 The first was NGC 7023 for 3 hours, the second was M33 for 3 hours and then the remainder of the night the scope would focus on NGC 1333 which I have to admit to having a bit of a fascination with. That’s another story though. More often I have to image from the suburbs of mid-size city with a substantial amount of light pollution. It was interesting to see the difference dark skies can have in data quality. Its not to say you can’t image from the city, but it is most likely that you would need 3x or 4x the data in order to achieve a good quality result. I’ve even read as much as 10x the data. This rarely happens for me. 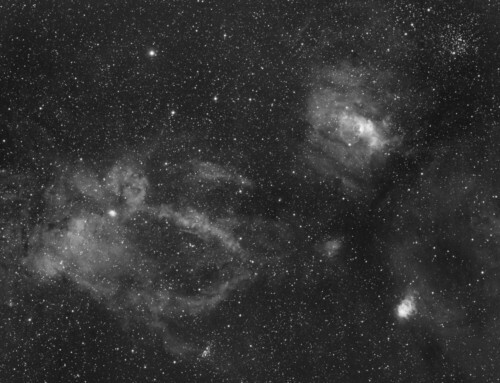 Above: On the left is 2 hours of data taken of the Iris Nebula from Kitchener, Ontario. Right, 1 hour of data taken from the dark skies of Oliphant, in Township of South Bruce, Ontario. 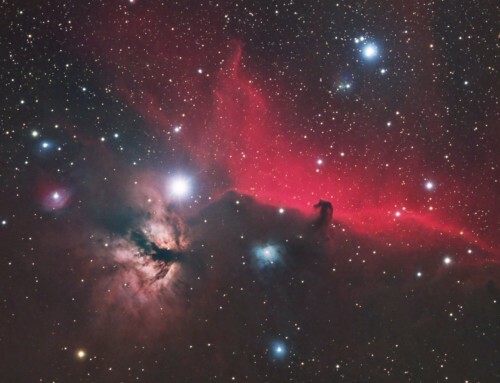 With half the acquisition time, the dark sky data displays much more depth and detail. Even my darkest sky here in southern Ontario, is no where near as good as the Sierra Mountains. 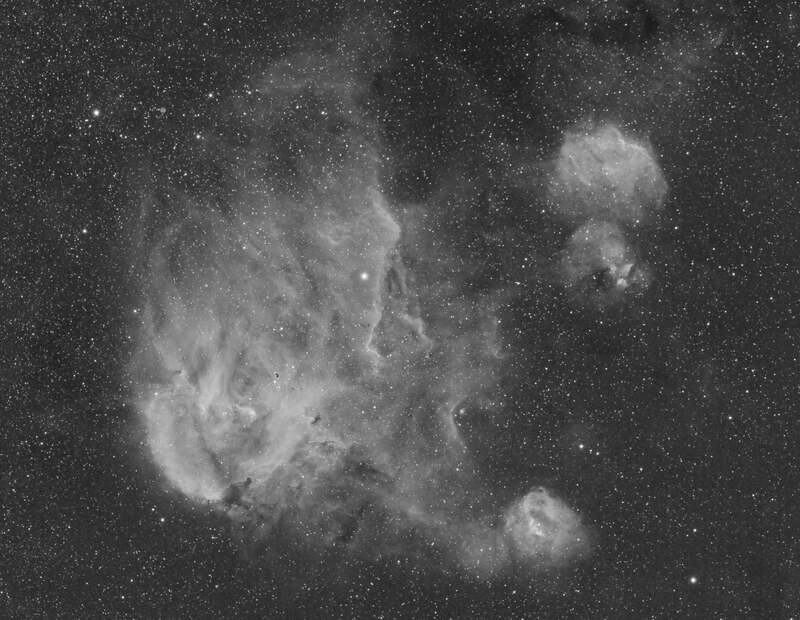 This image is luminance data taken with the iTelescope 24″ Planewave CDK hosted by the Sierra Remote Observatory in Auberry California, USA. It boasts 3962 mm focal length (F/Ratio of f/6.5) and an FLI-PL09000 CCD camera with a pixel size of 12um and 0.62 arc-secs/pixel resolution. 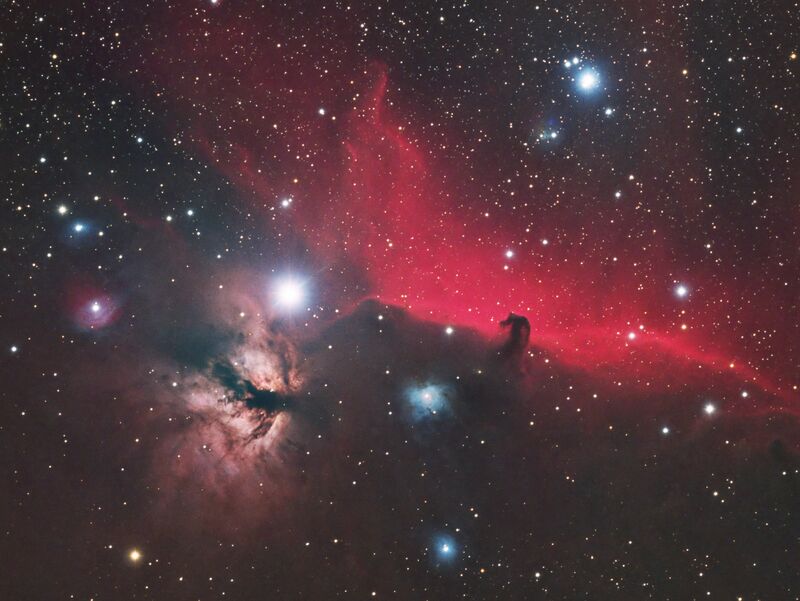 The details in the nebula are shown in fantastic detail. It almost appears like you are flying into it!